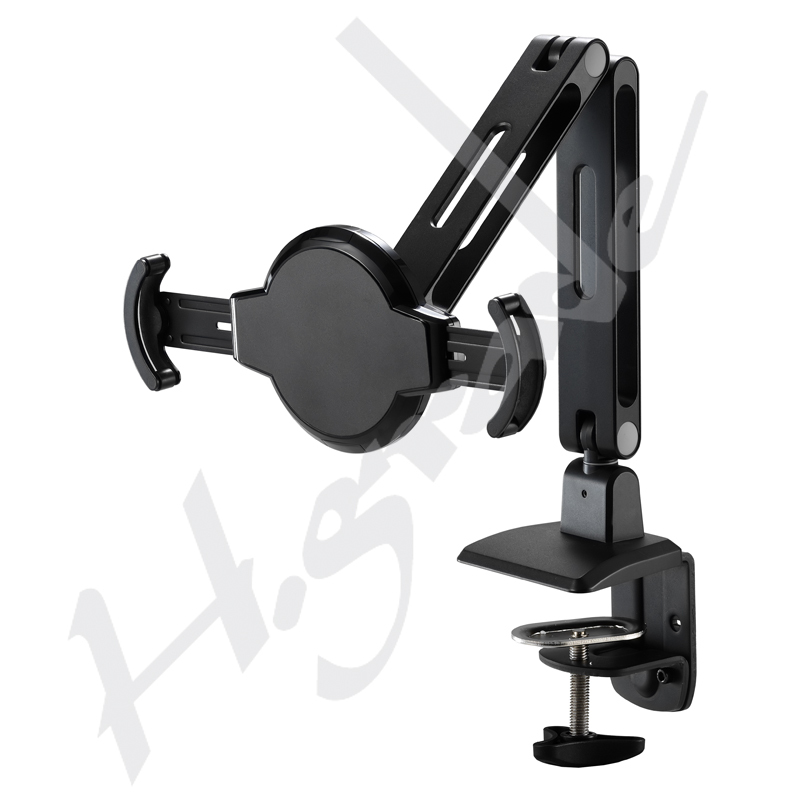 Pad / Tablet Stand, Lock series with Clamp Base, IPC200 - HIGHGRADE TECH. CO.,LTD. 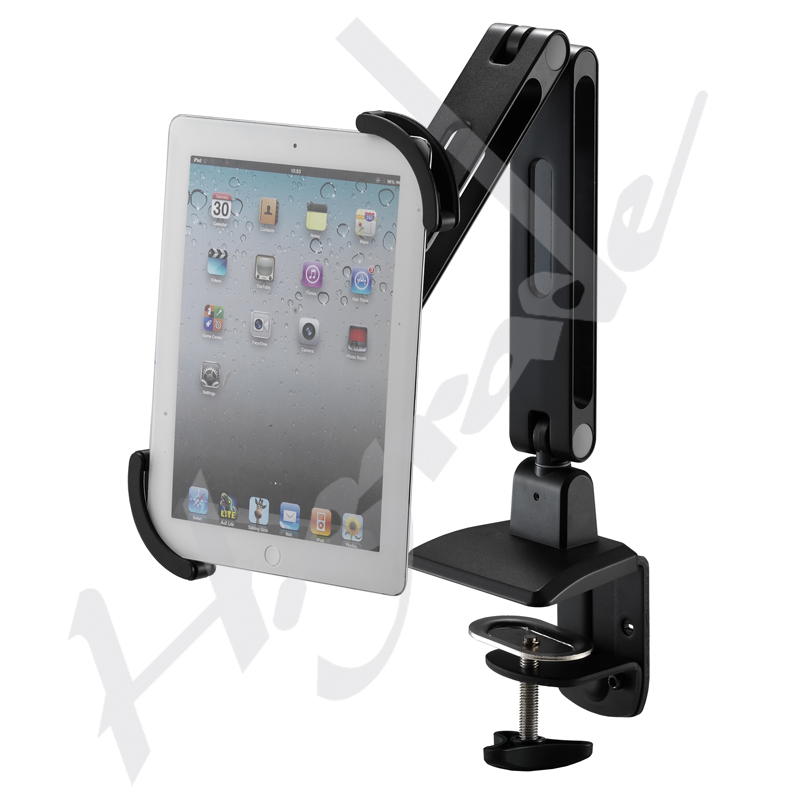 Holder for e-reader with Anti - theft Lock. IPC200 is a versatile tablet stand featuring a Kensington lock hole, providing better security than those of our competitors. 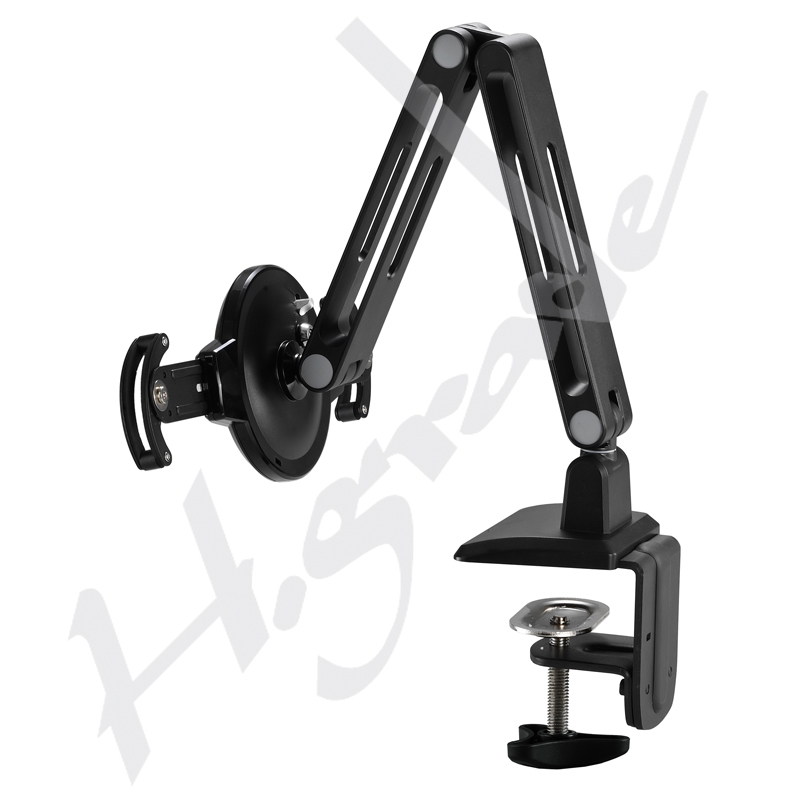 Diagonal frames are designed to optimize the functionality of your tablet device, allowing for access to power button, 3.5mm Jacks and volume buttons. 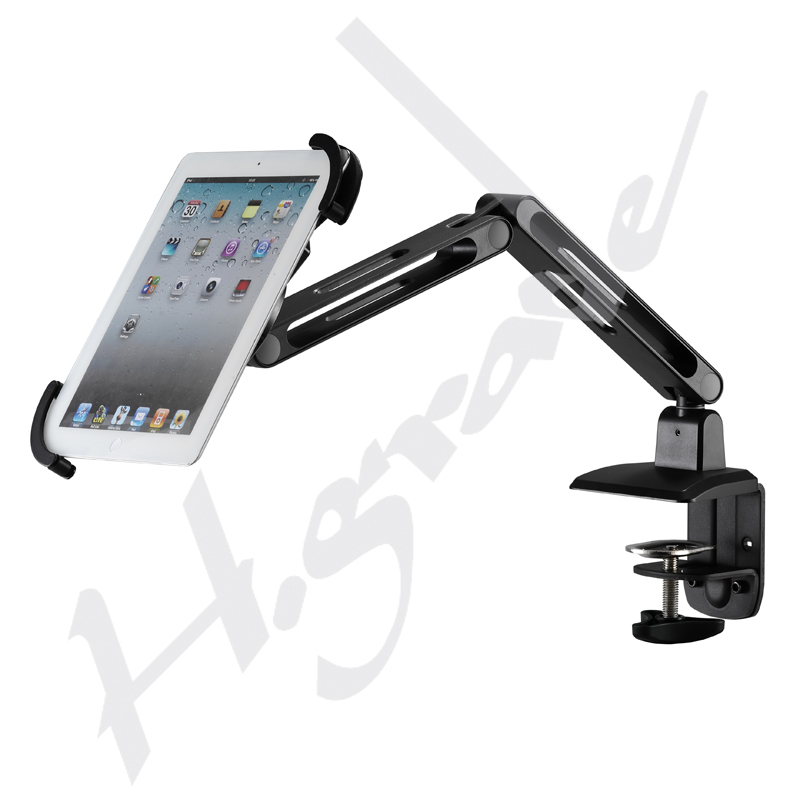 Furthermore, with diagonal frames, the tablet device can be easily zipped into place and kept from falling during a 360-degree rotation.